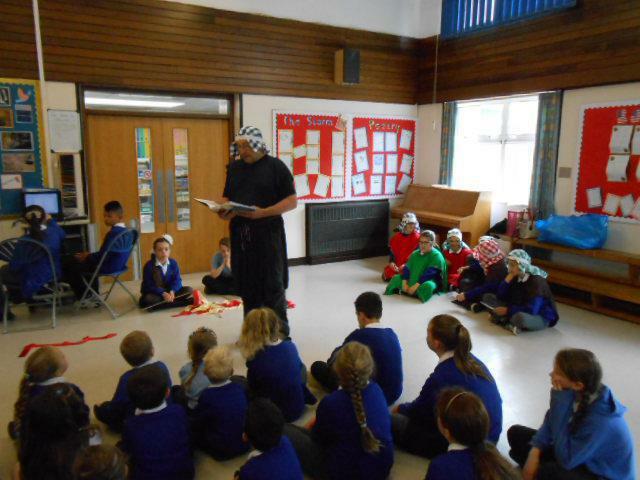 Today the Open the Book team treated us to another story from the Bible - The Helper Arrives. 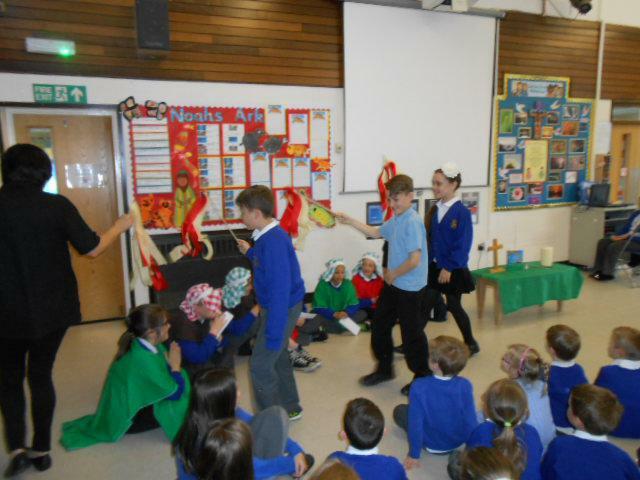 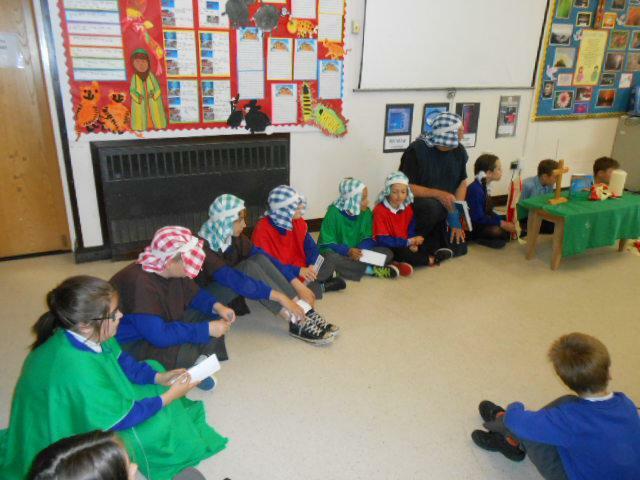 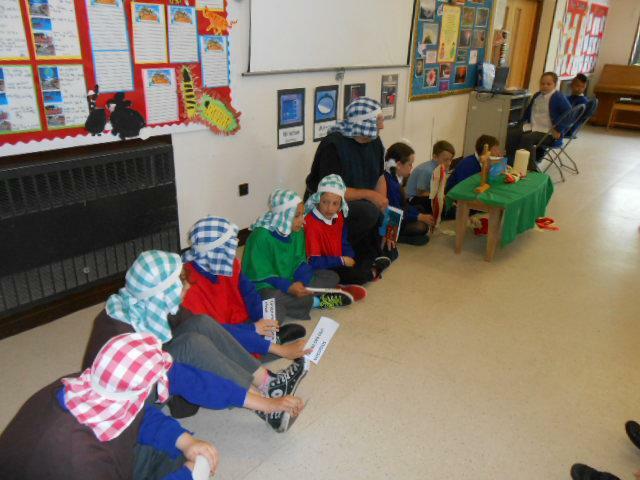 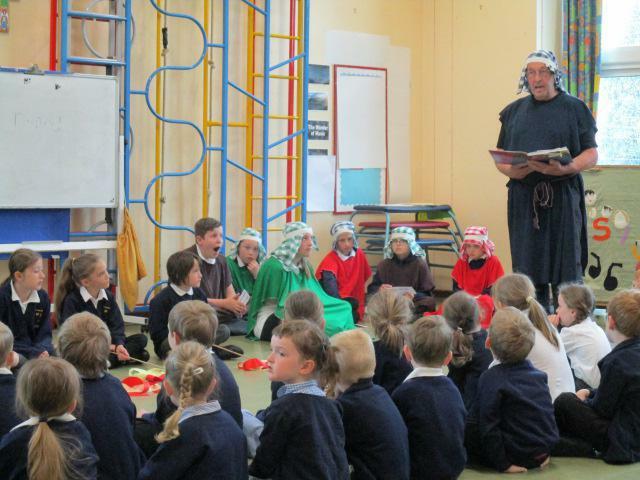 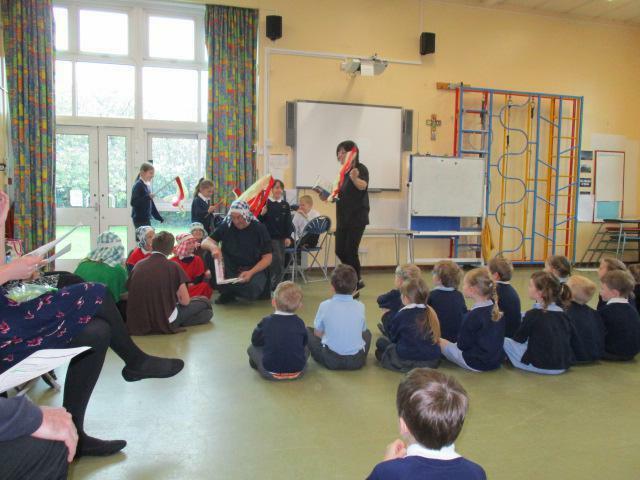 The children listened well to how the Holy Spirit (the helper Jesus had promised) enabled Jesus' disciples to talk to others all round the world. 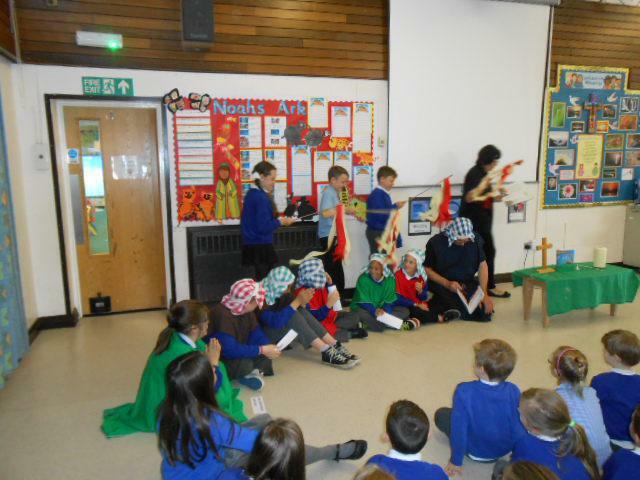 The were then able to reflect upon who helps them in life and who they can rely on. 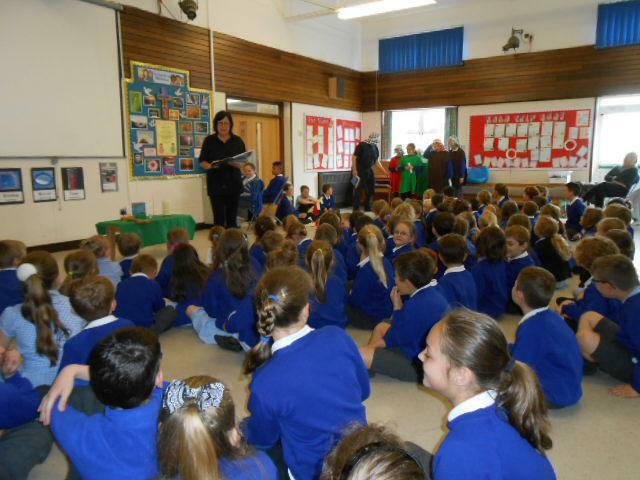 Another super assembly from Open the Book!